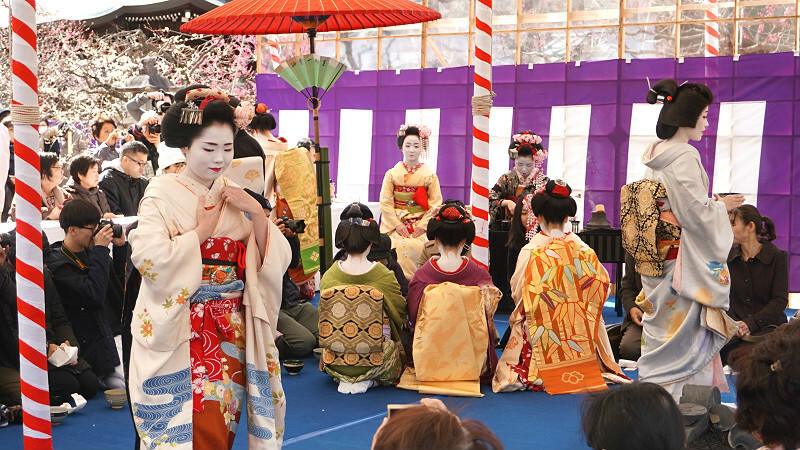 Experience a tea ceremony with real maiko and geiko! 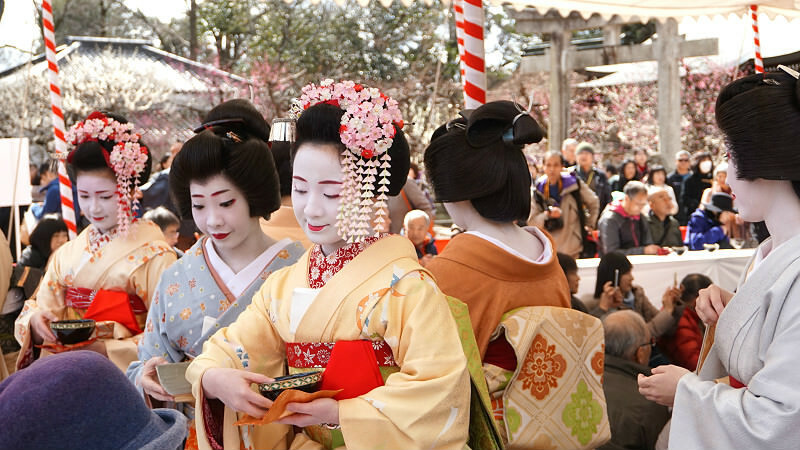 Sharing Kyoto's writers went to Kitano Tenmangu Shrine and saw and drank tea with real maiko. 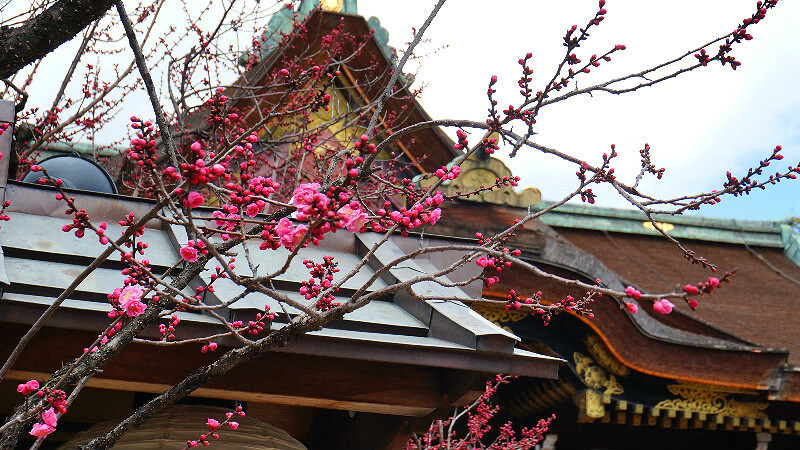 Kitano Tenmangu Shrine is famous for plum blossoms. 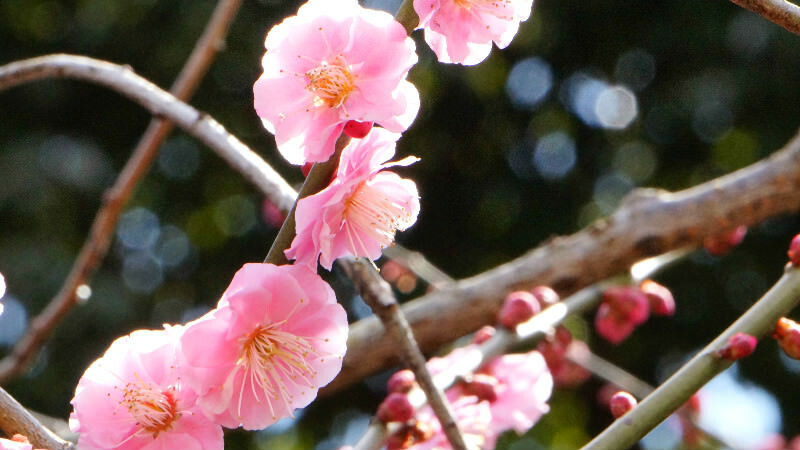 We have visited there for the plum garden and Baikasai, Ume plum blossom festival, on February 25th. Kitano Tenmangu Shrine was established in 947 and enshrines Sugawara Michizane who was a scholar, litterateur and politician in the beginning of Heian era (lived from 845 to 903). 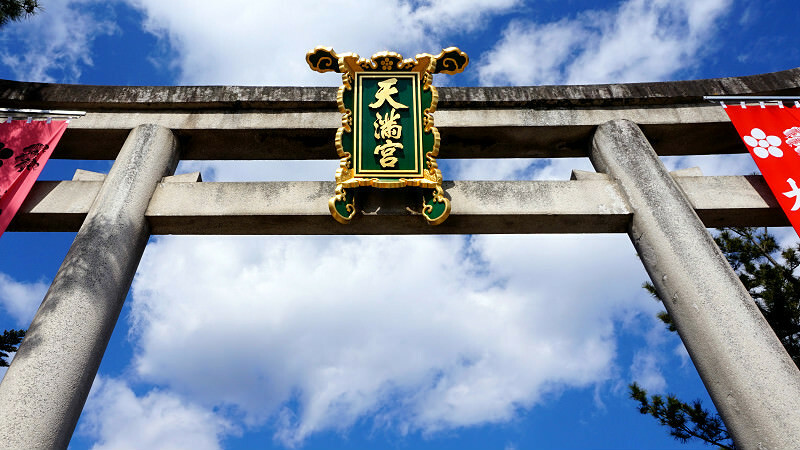 Honden, the main shrine, and worship hall called “Haiden” are designated National Treasure in Japan and students all over Japan frequently come visit to offer a fervent prayer for their study as this shrine is known as a deity of wisdom. As Michizane died on February 25th, this festival is taken place to repose his soul. 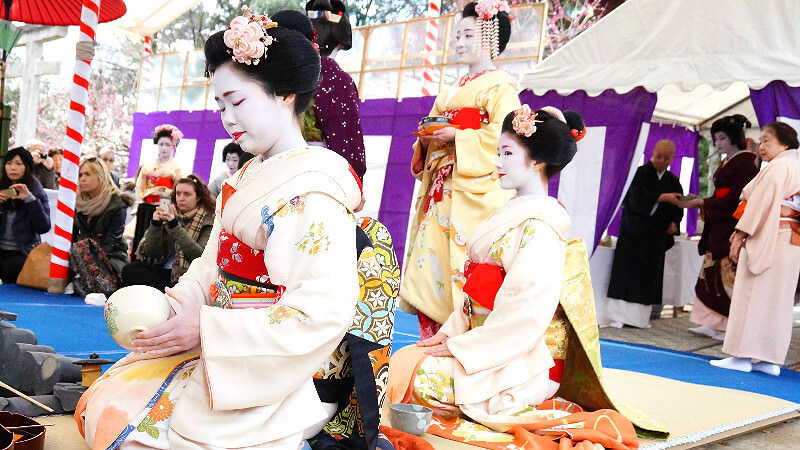 During Baikasai, there is an event called “Nodate” which Maiko, Geiko and Okami, their masters, would serve you a Matcha tea. 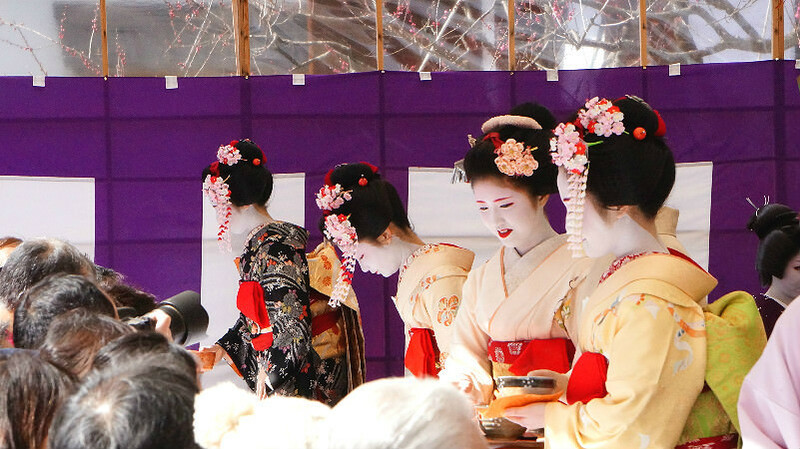 They are from Kamishichiken where the oldest Geiko district in northwest Kyoto is. This is the gate of Kitano Tenmangu Shrine. It was such a nice weather. So, we have started our tour from looking around the plum garden. 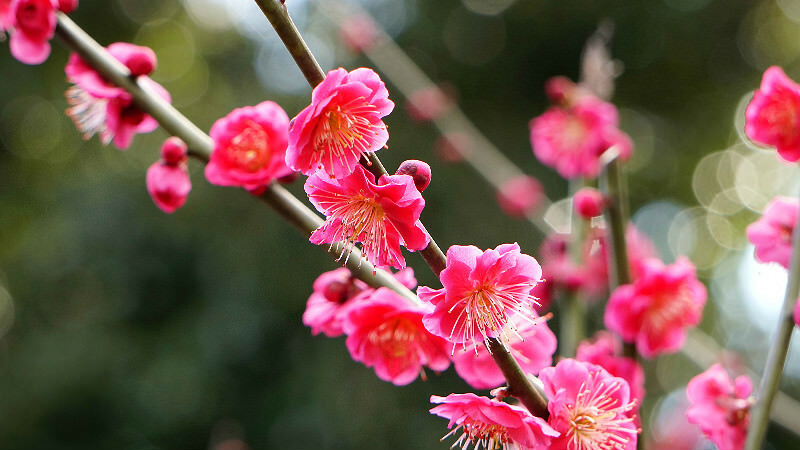 There are various kinds of plum blossoms with different colors. 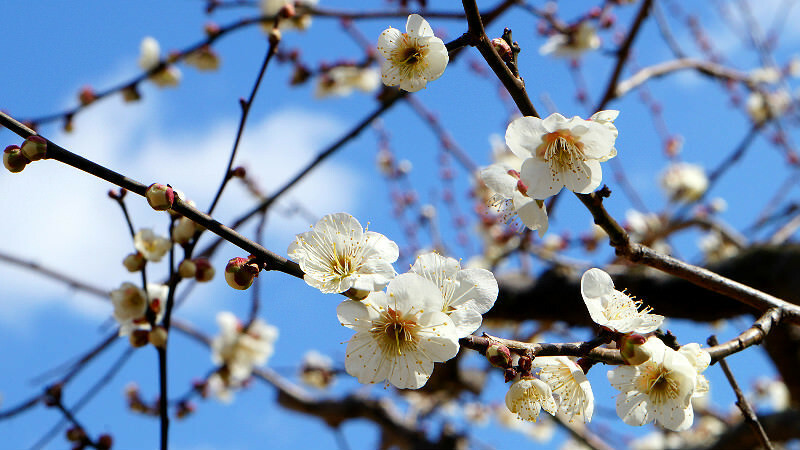 After enjoying the beautiful plum blossoms in the plum garden, we went to the main event “Ume plum blossoms festival (Baikasai)”! There are two options for guests: table seats and floor seats. 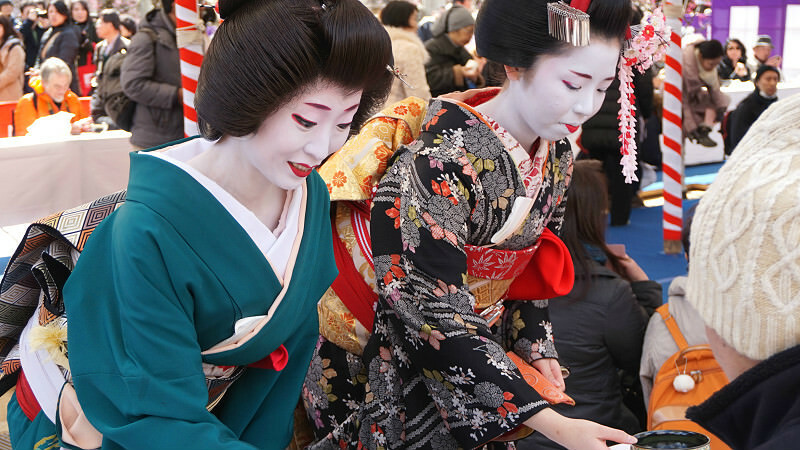 You need to wait for a while in line before you will enjoy the Matcha tea served by Maiko, Geiko and Okami, their masters. ※Please make a reservation before you join this event. On the floor seats, Maiko make a tea for you (not for all of the guests who sit on the floor seats). There is a hot water pot in font of Maiko and she pours it to the Matcha cup. Then, she makes a tea by bamboo whisk. When they serve Matcha tea, they put the Matcha cup in front of you and bow before and after serving the tea. When you sit on the table seat, Maiko, Geiko and Okami, their masters, will bring Matcha tea made in the back of the stage by Okami. It may be a good idea to have a seat on the table seat if you have an anxiety with your body (on the floor seat, you need to sit on the floor). We also enjoyed looking at their hair accessories as they all have different kinds of gorgeous accessories that have meanings. I was amazed by the hospitality by Maiko, Geiko and Okami in this event! You may enjoy the colors and patterns of their exquisite Kimono and also their beautiful hair accessories. Please note that you need to make a reservation before the event. 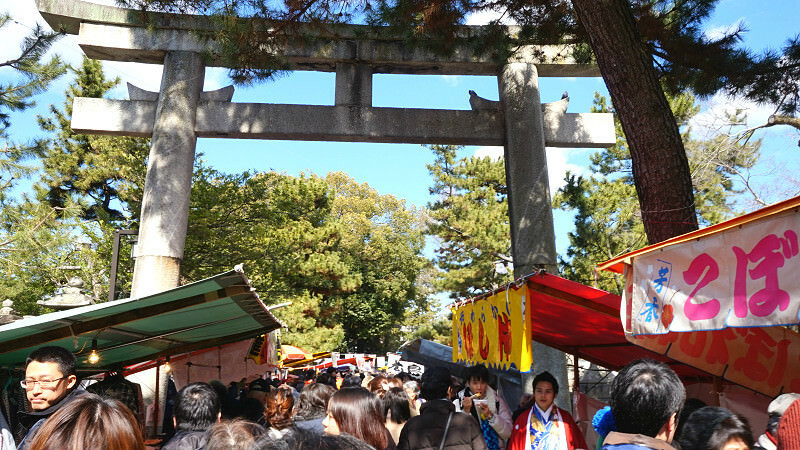 Tickets are available at the office of Kitano Tenmangu Shrine. There are 3,000 tickets in total and you can purchase them from January 25th. It may be one of your memorable events joined in Japan.